Simple bolt free bay of shelving or a complex two tier or high rise order picking installation. Bolt free shelving offers a versatile and cost effective solution for every thing from garage shelving through to commercial and stores applications. it is not only quick to build but can also be taken down and re erected in another room or building. The height width and depth of the shelving comes in different sizes and additional shelves can be purchased to add additional storage levels making it a cost effective and durable solution for many homes and businesses. Simple to design and assemble, no tools required. Versatile modular shelves catering for small components to heavy cartons. Built in garment rails and shelf dividers available. Maxi Bins available to suit shelf sizes. 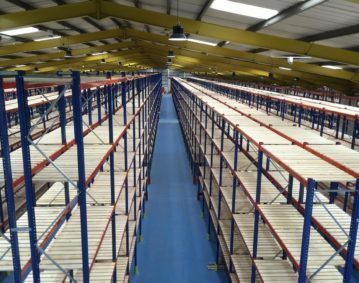 For more information about bolt free shelving, contact us today.